Momma Told Me: That stain's never going to come out! It's kind of a rule I have. I respect white clothing, and, in turn, they respect me. We have a mutual understanding, white linens and I. That's because I was born not only a klutz, but a color addict. I am drawn to vibrant, colorful, things much like a bride to a sparkly engagement ring. The number one stain nemesis my wardrobe faces? Food stains. I'm not going to lie, if something's vibrant AND delicious I'll make like a pig in mud and throw caution to the wind for fruit juices (Mmmm, juicy ripe, red strawberries!) rich bbq sauces, melting chocolate ice cream, robust marinaras and more. But, growing up, I wasn't called a 'stain magnet' just for the food I'd encounter- after all, Momma was smart enough to cover me in a tarp before letting me loose with a messy food. 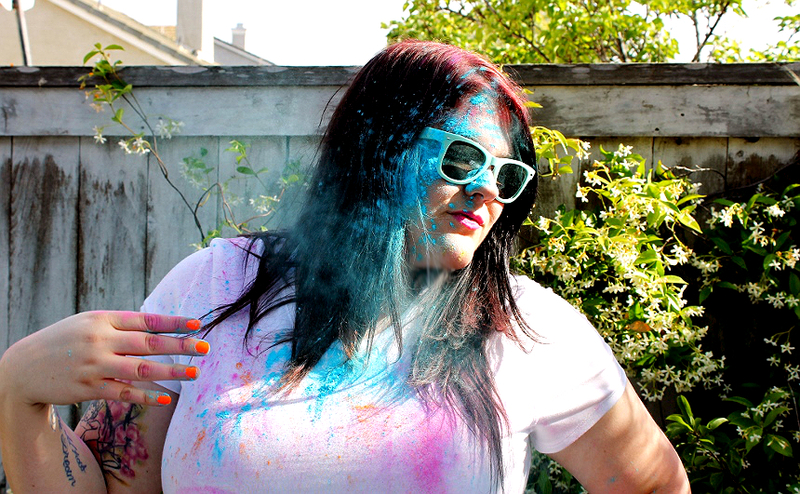 No, I managed to cover my clothes in everything from highlighters and paint to crushed flowers. Still today, when I see something beautifully colorful I have to touch it- My wardrobe, organized on a color wheel scheme, has pieces in literally every hue, to match any given mood. And when you combine a yellow dress with a neon blue eye-shadow clump you make for a pretty formidable laundry stain. Yes, I'm proud to say I'm still devising new stains today. It's not that I don't care about ruining my favorite clothes. Well, I sort of don't. I know I have pretty good odds of removing just about any stain from my favorite threads with a secret weapon on hand. 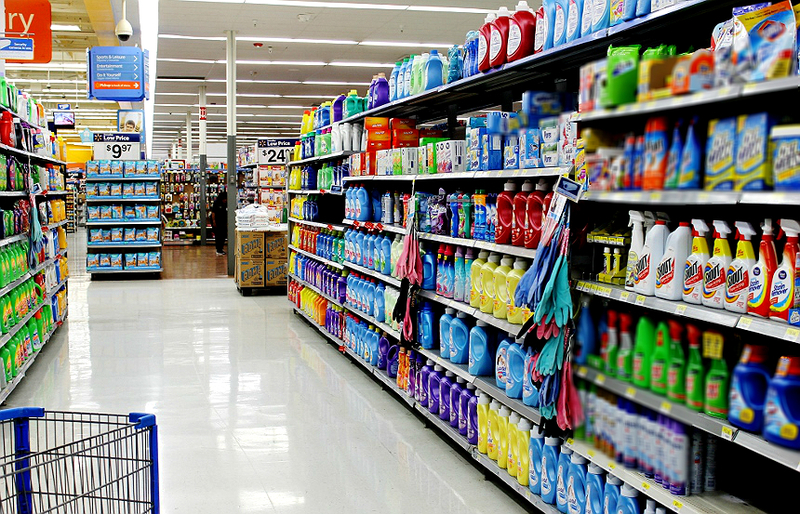 Shout® Trigger Triple-Acting Stain Remover from Walmart is an affordable single treatment laundry remover that goes to work on the toughest stains to cling, penetrate, and lift in wash. Naturally the sooner you treat a stain, the better it will work- just spray Shout® Trigger Triple-Acting Stain Remover on the stained areas, gently rub the solution in, let it sit 1-5 minutes, then wash the stained fabric in the warmest water it will accept. Shout® is suitable for all colorfast materials, so you can truly use it for a variety of stain solutions. Speaking of a variety of stains- the Shout® brand realizes there's a New Generation of Stains™ and is challenging their customers to put their Shout® Trigger Triple-Acting Stain Remover to the test on whatever life throws at them. Discover some of these stains in funny videos on the brand's YouTube page. Over the past few years one of my most challenging stains have come from the variety of 'fun runs' I've participated in. These casual 5-7k events often involve unusual terrain, excess dirt and mud, or even thousands of gallons of colored corn starch. Did I catch your attention there? 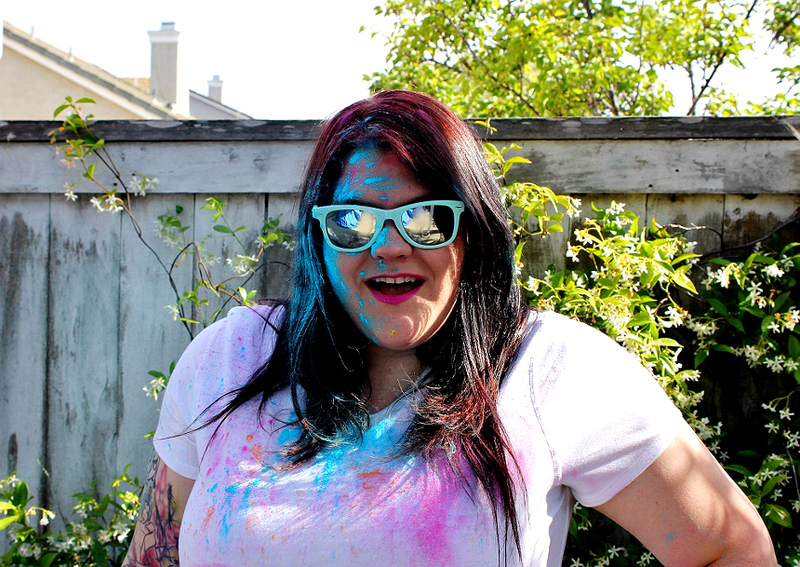 Yes, I have literally rolled in colored corn starch during these events simply to see how close to a living rainbow I could become. 2. 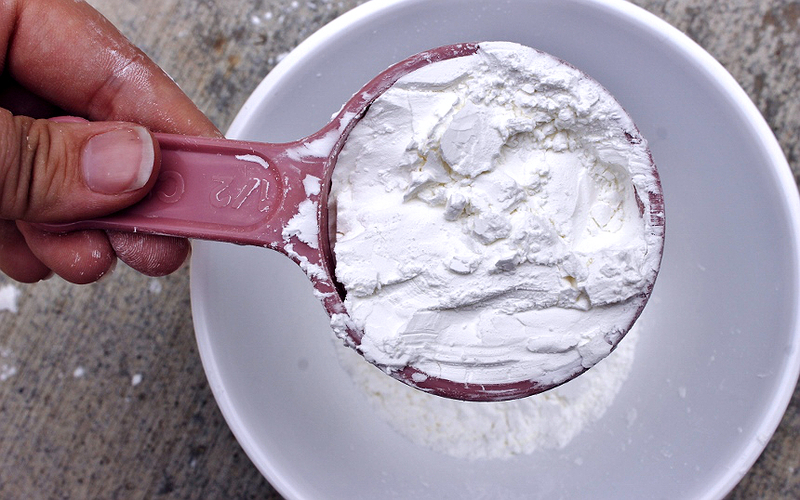 Begin by placing 1 Cup of cornstarch in a mixing bowl. Add the water slowly, but steadily, stirring as you add. This may be easiest to do with a second pair of hands to pour as you stir. The mixture will want to seize and turn into a substance referred to as 'Oooblek'. 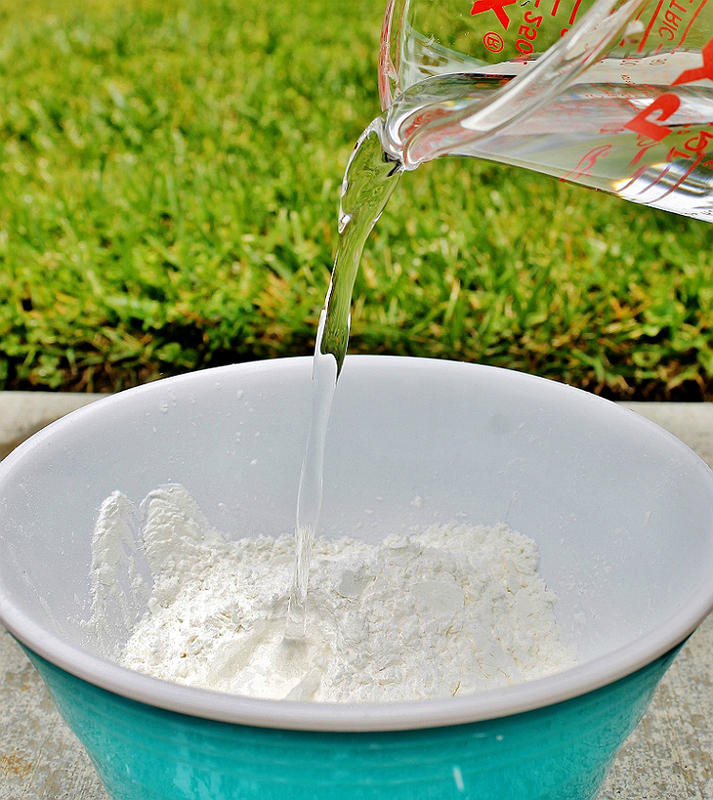 Keeping the motion constant will help the mixture maintain its’ liquid-like properties and allow all of the cornstarch to be evenly absorbed. 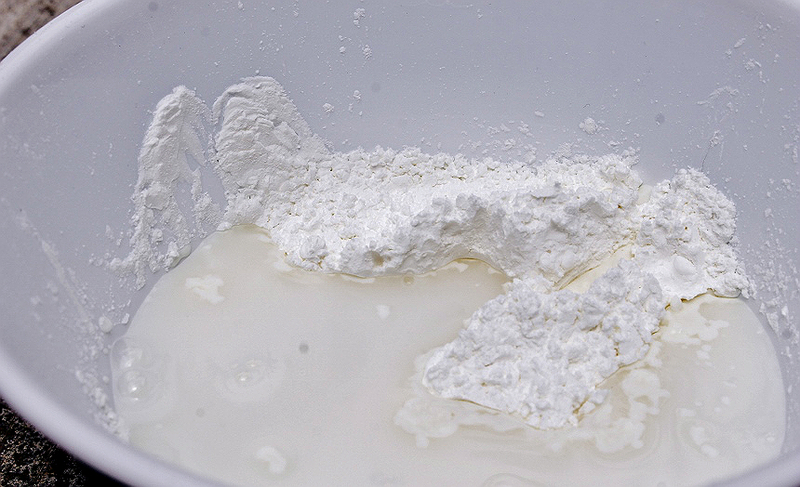 You may need to add more water if the mixture thickens beyond a rough slurry. 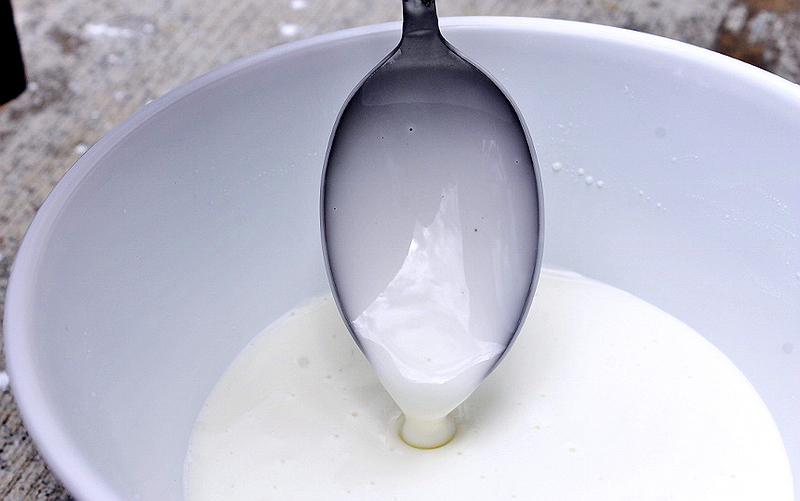 You will know you have reached the correct consistency when the mixture oozes off a spoon rapidly, but with enough thickness to coat it in entirety. 3. 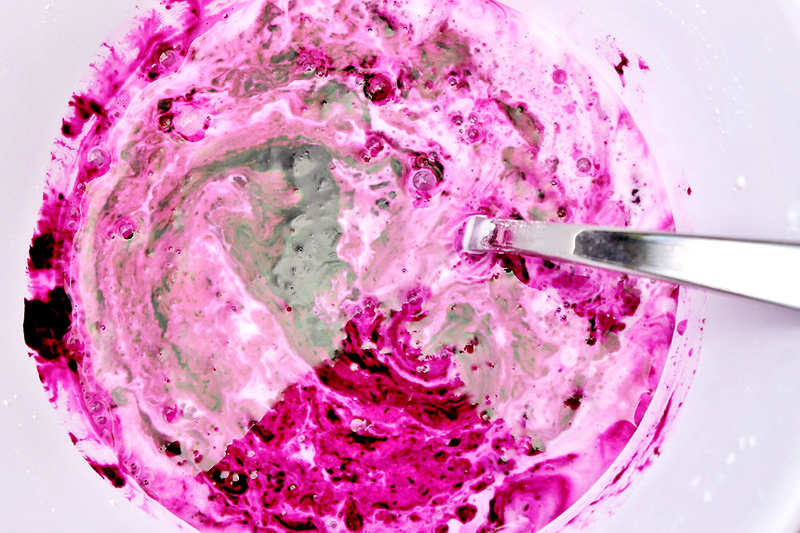 If you are lucky, and have that second pair of hands, you can add your food color without ever stopping stirring. 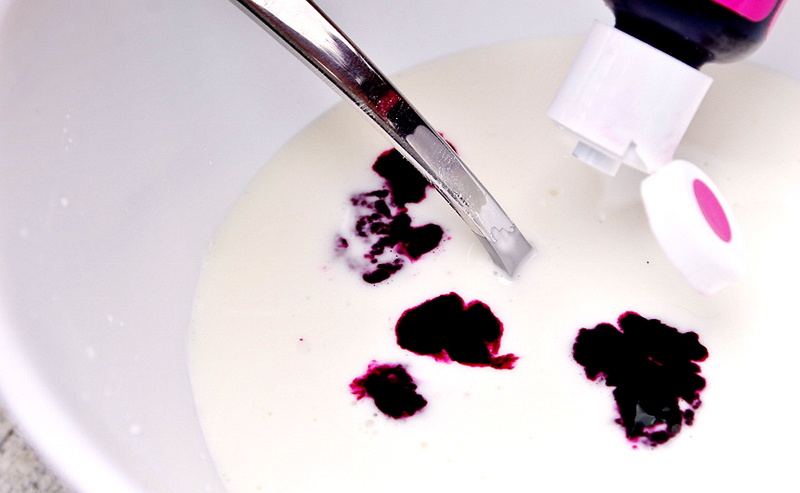 Make the color of the mixture significantly darker than your desired result as most of the liquid will evaporate out during the drying process and the powder will be several shades lighter when done. 4. Repeat this process for each color your desire to make. As you go you will quickly find a simple technique and water ratio that works best for you. By my 4th color I was a pro. Once all of the colors are mixed place the bowls in a dry place where they can rest for several days. 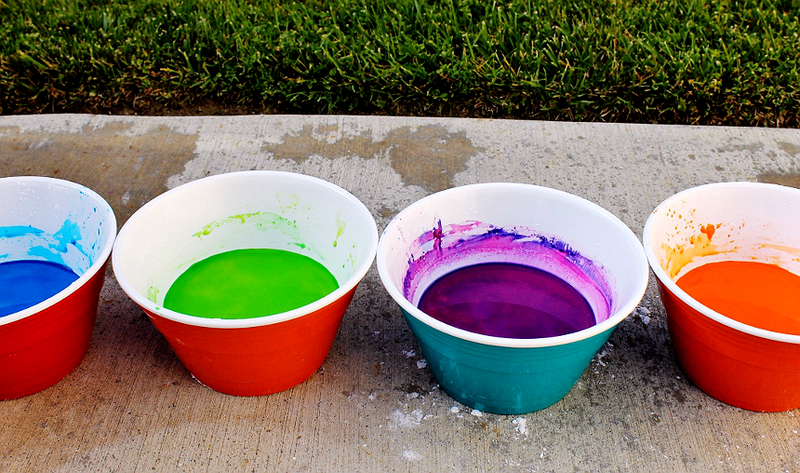 If you are using large bowls and your liquid pool is shallow your colors will dry much quicker than smaller, taller, bowls. In most cases the colors will be ready for the next step in 2-3 days- you can 'drain' the excess liquid every few hours after the color has initially set, to help speed the process. Otherwise, set them aside and check back in several days for surface cracks. This is how you will know the color is 'done'. 5. 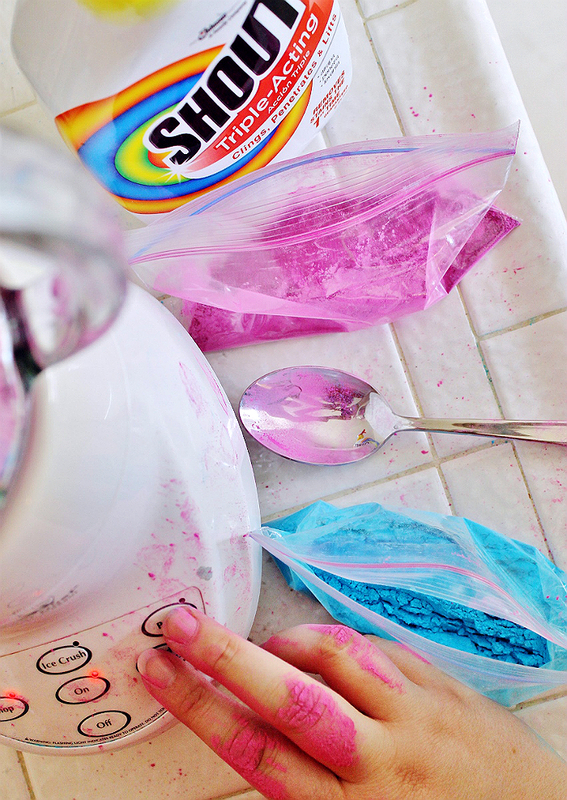 Flip the color 'cakes' out onto a clean baking/cookie sheet. The color should crumble with light texture and will feel like soft, cool, red clay to the touch. The texture should remind you of chalk. Pre-heat your oven to 200F and crumble your color 'cakes' while you wait. Try and make the crumble as fine and even as possible, spreading it out in a thin layer along the sheet. 6. 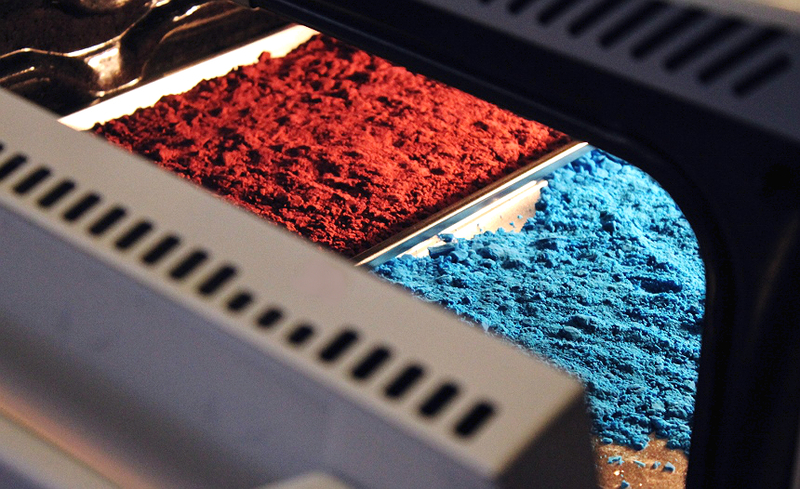 Bake your color in a 200F pre-heated oven for 45-60 minutes. Depending on how moist your color was upon crumbling, you may need to adjust this time more or less. The heating process will draw any remaining moisture out. It is important that you allow your color to 'cool' before the next step or any humidity from the heating process could make your final product clumpy or gritty. 7. For this last step you're going to want a nice food processor. Something meant to puree. 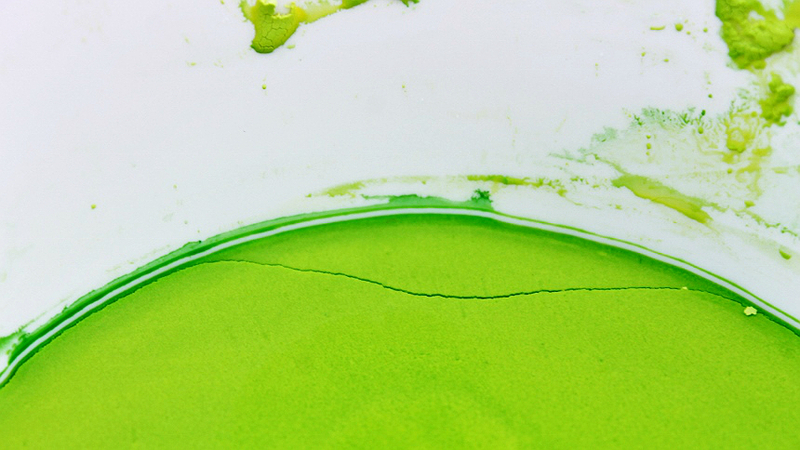 Carefully add one tray's contents to the bin of a food processor or blender, securing the lid tightly- the color will 'puff' and 'smoke' around any open edge- you've been warned. Hit a quick 'pulse' then puree or blend on the highest setting for 30 seconds. Over processing can cause heat and, again, release any residual moisture, so be careful to take your time and check your product in between steps. 8. 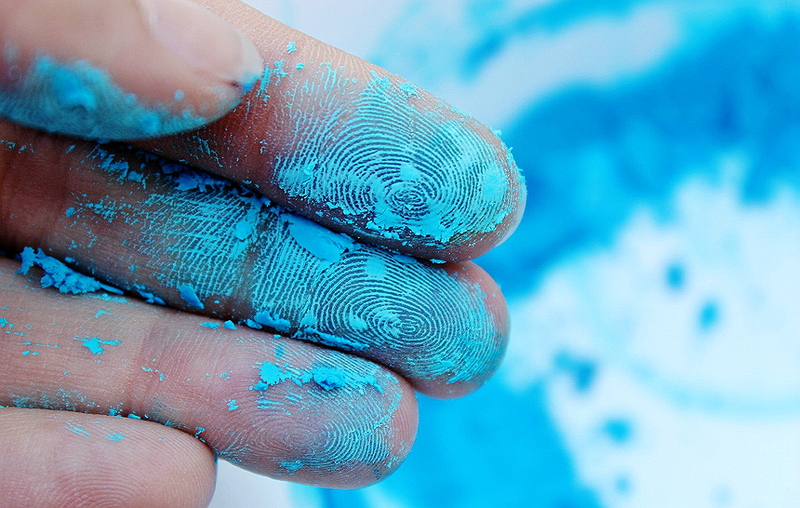 Now you should have a very fine, chalk dust, powder that steaks your hands when pressed between a few fingers. 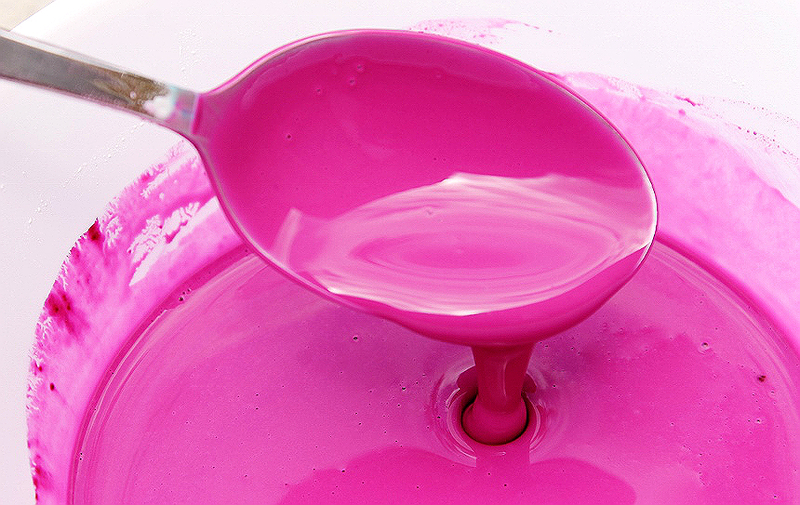 The color should lift from most surfaces with ease, unless moisture is added. While it is made with food grade ingredients you may also want to wear eye-wear, such as sunglasses, and be mindful of faces when tossing to minimize inhalation. Unless you don't mind sneezing colors for the next few days, that is. 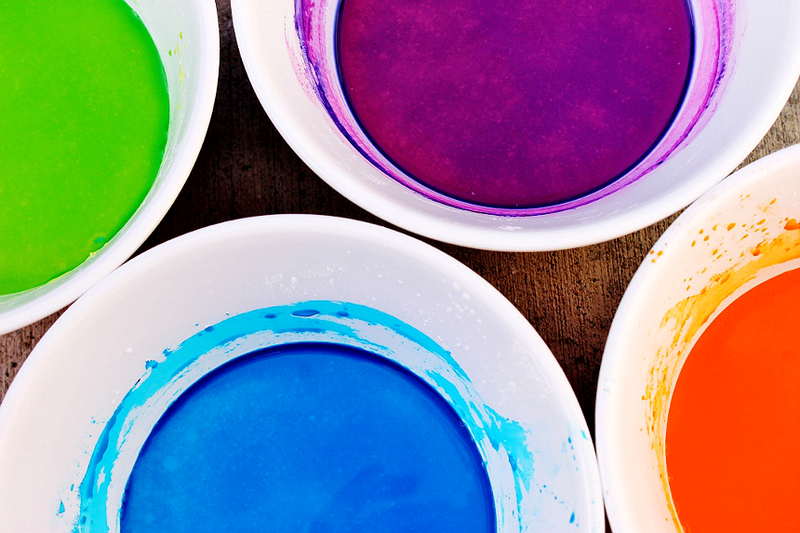 You may be wondering what on Earth a person would do with colored powder, or why in heavens they'd want to stain everything in sight with it. If you are, then you and I are completely different people. This is okay. One of the greatest things about this project is that the color can be stored in air tight containers for months. Pull some out for a photo-shoot, celebration, or simply to brighten an otherwise dull day. 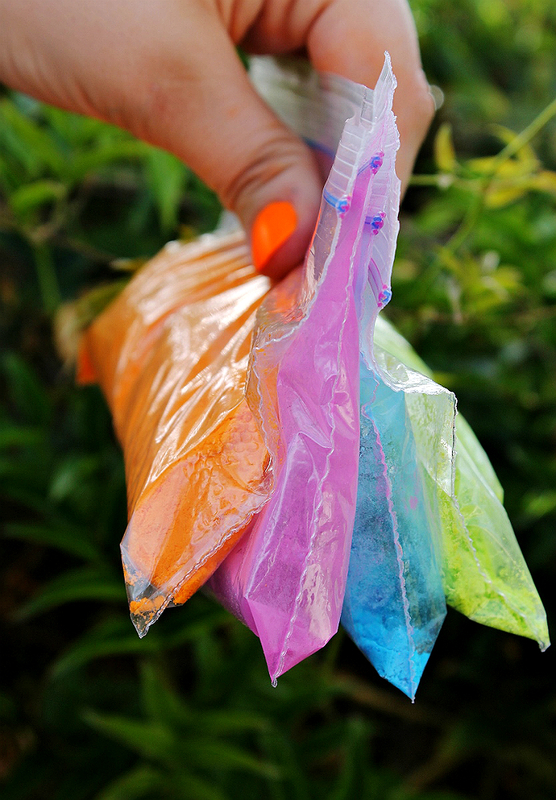 And yes, you could even smuggle it into your favorite color marathon event. I can only imagine the color combinations and color creations that are possible when one mixes all the beautiful vivid food colors at the local craft store! 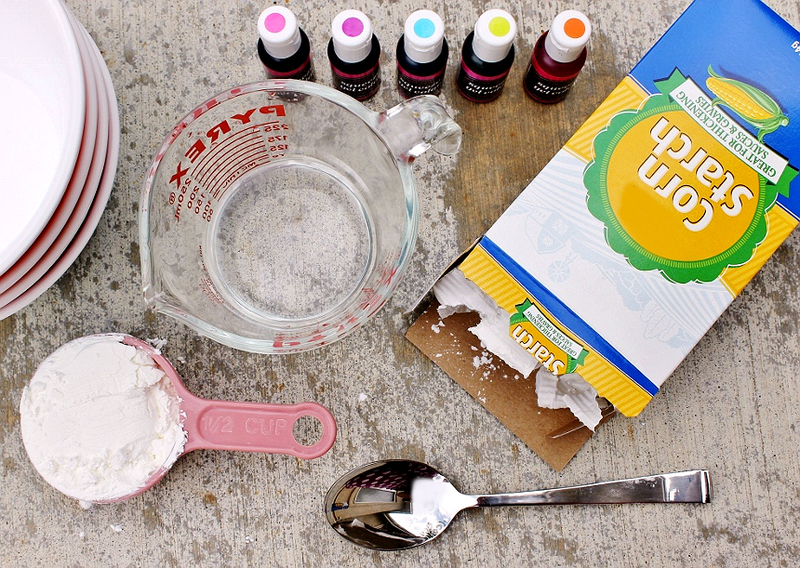 Because this color toss recipe is made with simple food grade ingredients, children, pets, grandparents, neighbors, cars, and more can get in on the fun. 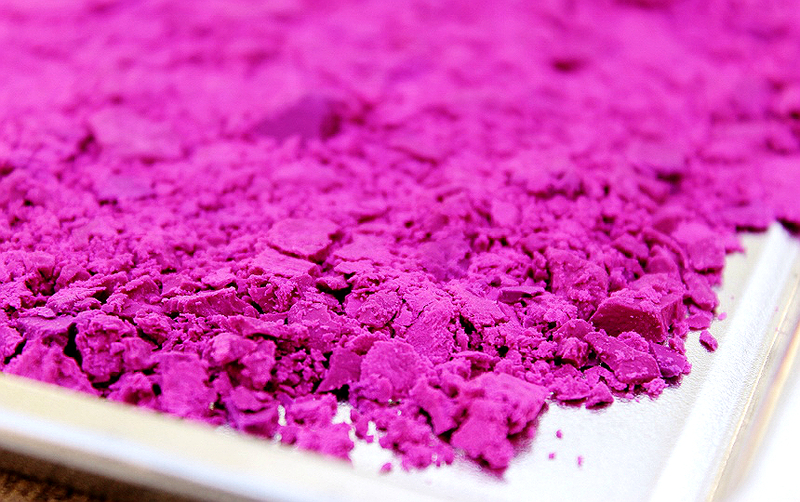 Yes, the powder is VERY fine, and wind WILL give it a mind of it's own-but the majority of the color lifts WITH the powder and will wipe off of nearly any surface so long as moisture isn't involved. A leaf blower, vacuum, or box fan makes clean up a breeze- any residual color, outdoors, dissipates naturally within a few days. 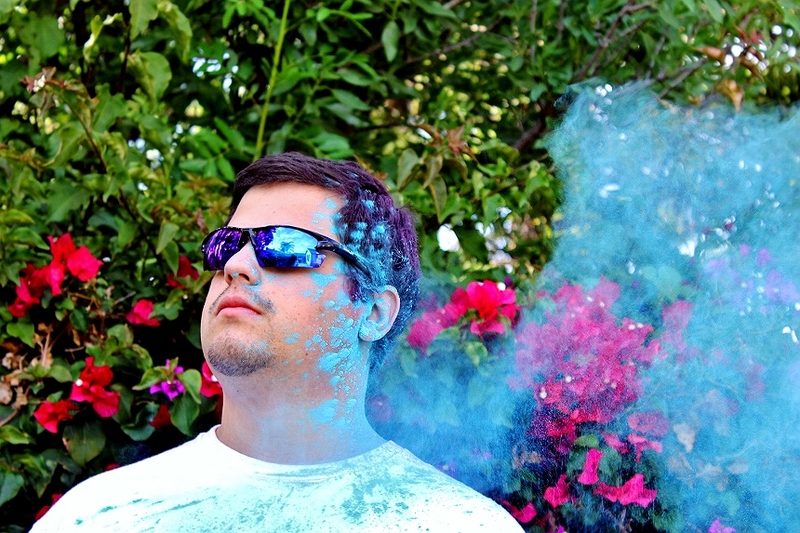 I've had a lot of experience shooting color clouds and color events. We spent about 10 minutes on this photo shoot because my week has been bananas, and I captured some pretty fun shots. My best tips for staging photos is to use a high burst setting. If you're going to shoot outdoors obscured direct lighting is best- shoot for a background that is high contrast light or high contrast dark. The less going on, the more action your color will have. 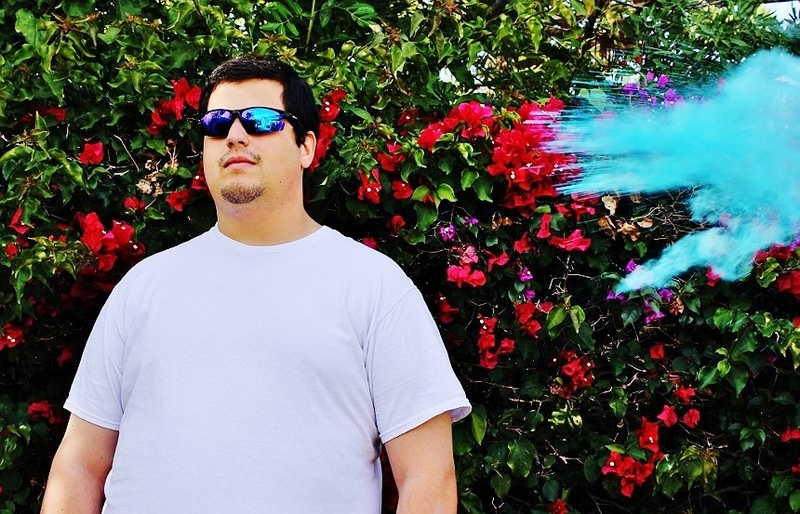 Cool tones, such as lime green and electric blue tend to pop the most on camera. The color will offer a beautiful cloud effect immediately as it hits a surface, followed by an entirely un-readable haze. Be fast. One thing I really want to do is get our friends together for a cookout this Summer and play flag football, tug of war, and other team sports. 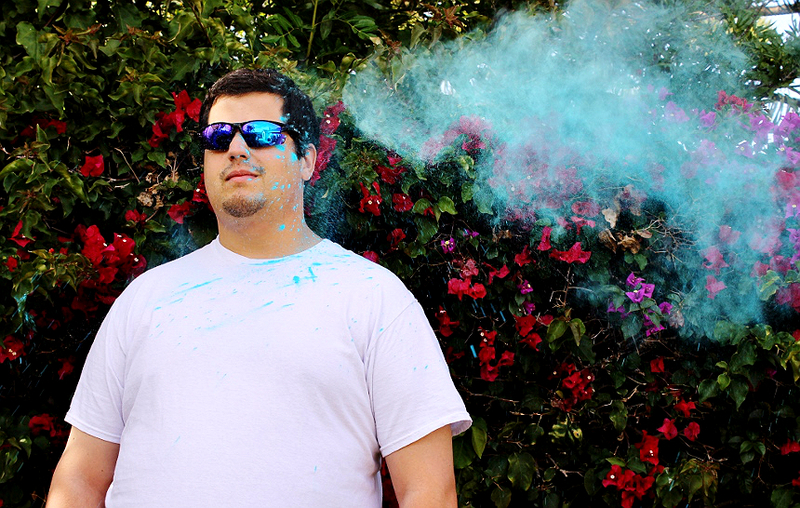 I think it would be fun to kick our events off with a color toss to 'mark' our team. Can you imagine the group photos? Okay- Remember how I said that this was impressively easy to clean up? While the color does wipe off of most materials and surfaces, and will pat fairly well out of clothing, cotton fabrics tend to 'inhale' the color into the fibers. Any area where you have perspired in the faintest, or simply come into contact with a high speed clump of color will be stained and discolored. Fear not- I have cleaned up much worse incidents and stains on clothing! 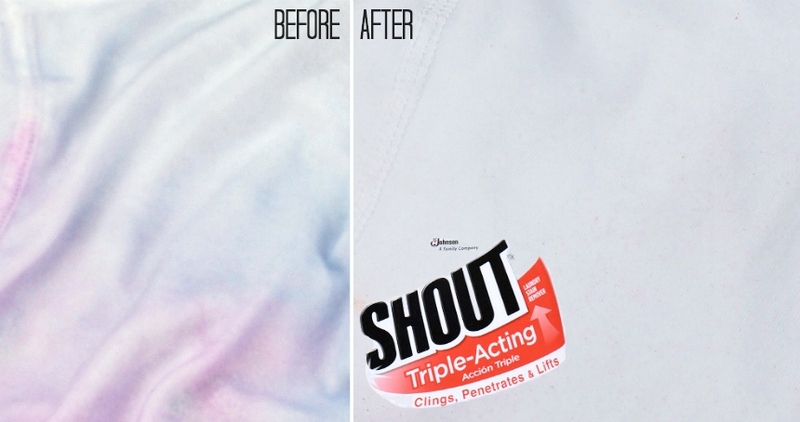 Shout® Trigger Triple-Acting Stain Remover got every trace of color out of both our white shirts! Jay actually asked if I'd swapped shirts on him, his looked so remarkably clean! 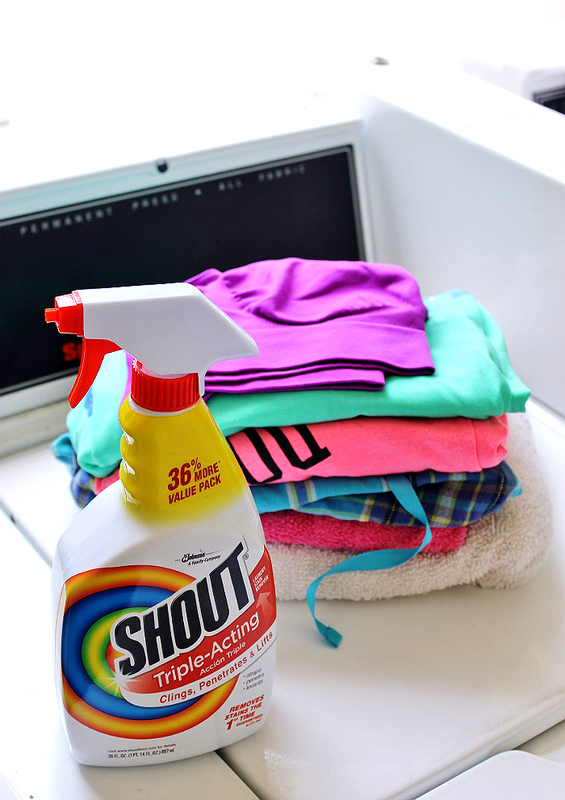 You really can't beat Shout® Trigger Triple-Acting Stain Remover from Walmart! 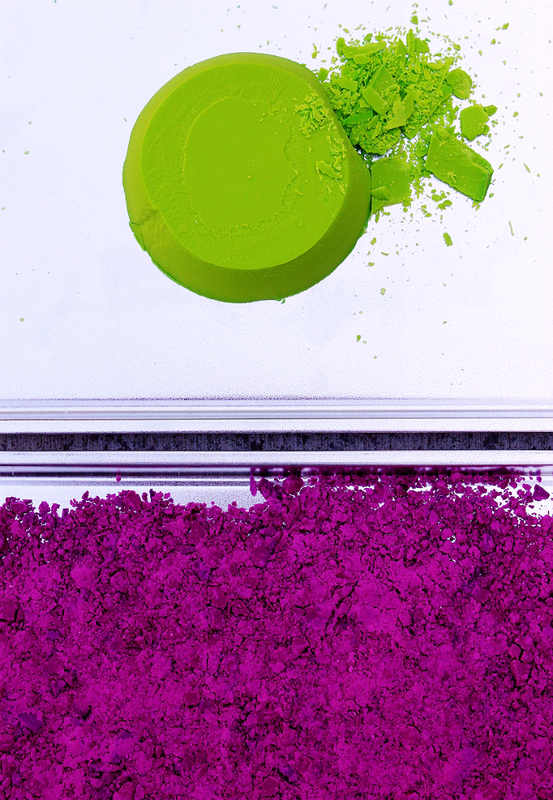 Discover more fun messes on the Shout® Social Hub! 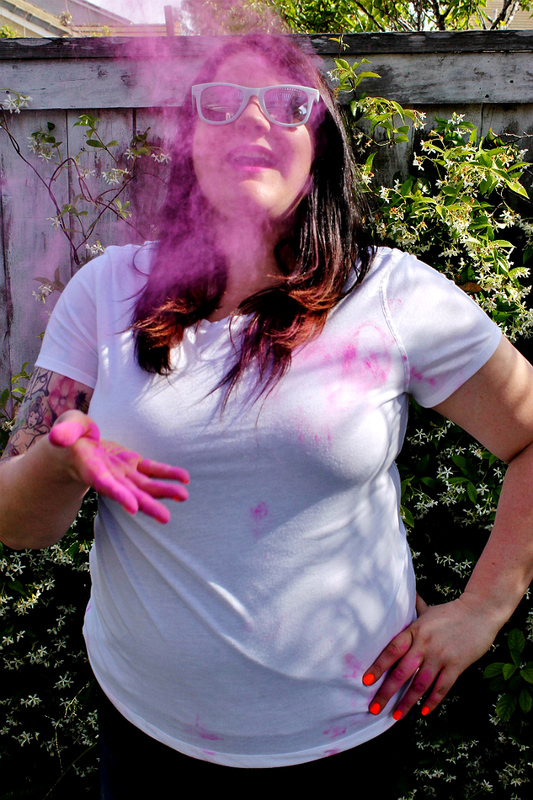 Now, tell me, what event or who, would be perfect for a D.I.Y Color Toss event? What Daughter Says: Shout® Trigger Triple-Acting Stain Remover gets the stains out so you can get back to enjoying the messes that create them! I literally use Shout every single day. I have two very messy boys in the house and they are constantly staining their clothes. This reminds me of a Kesha video! It looks like SO MUCH FUN! 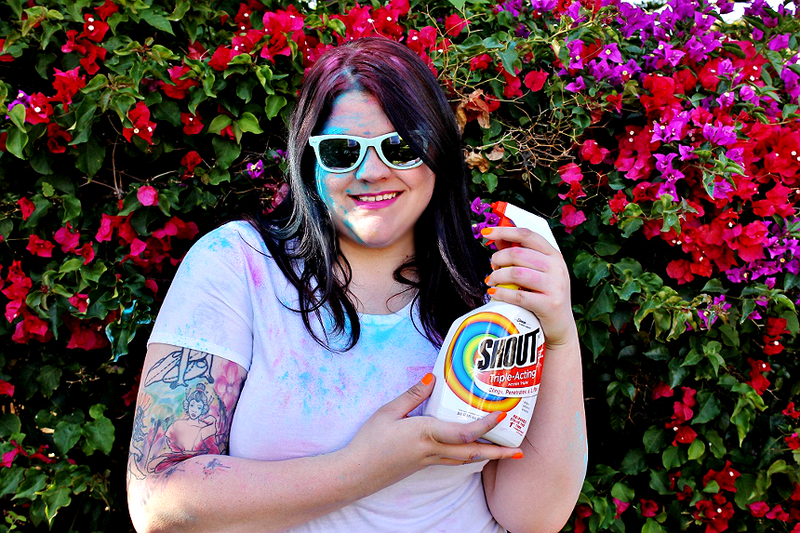 I really like Shout products, because they REALLY do work on my horribly dirty clothes! Oh my gosh that would be so much fun! My son and the little girl I watch each year would love doing that. And they have to do that with them as an art project right before we go to the swimming pool LOL. That's why I love Shout! I am always feeding my clothes and it gets the stains out! I love this. Anything bright and happy makes me smile and I've got a great big smile on my face right now. What fun! I'm sure everyone enjoyed themselves tossing a rainbow around. My kids school just did a color run and they had a blast. I use so much Shout that I buy it by the gallon. My hand cramps up when I do laundry because my kids are so filthy. It is a lifesaver. My mom used Shout to remove all our stains from playing and having grass and mud stains. Now I use it for my kid, who gets flower stains on her clothes. 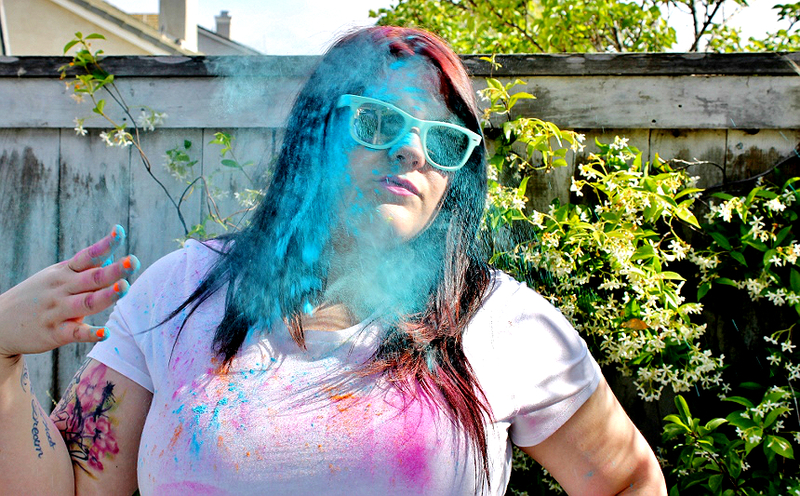 I will have to make some of the color toss. That would add lots of fun to our summer activities. 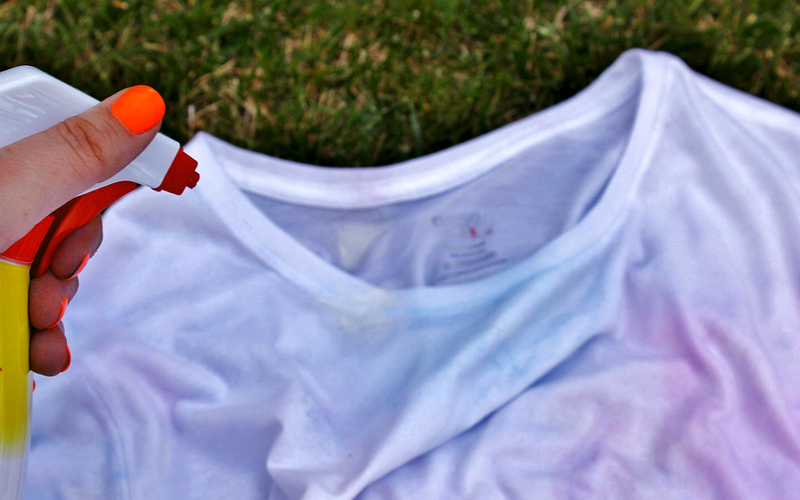 Shout really works for getting rid of stains. 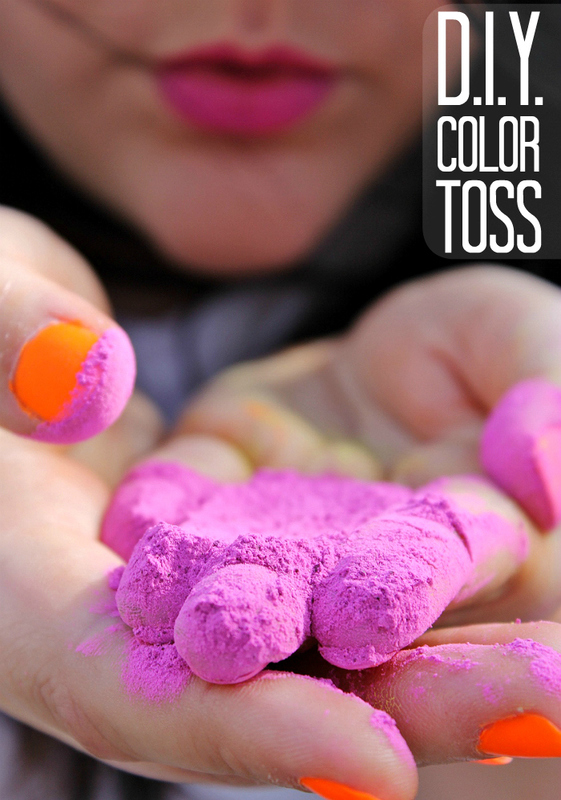 I would love to do a color toss. 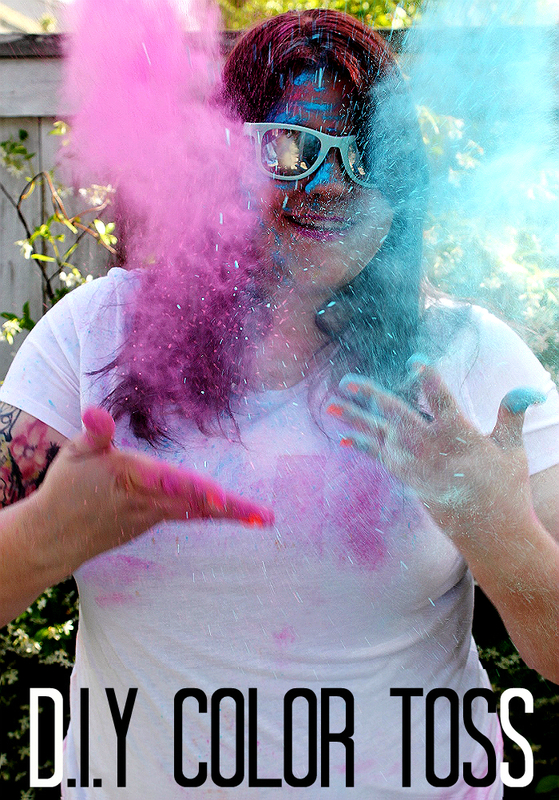 My Daughter did a color run last year and had a blast. I love this! I need to make some of that myself just to have fun with it. I love that Shout works great on getting all those colors out too. Seriously! How did you get those photos. I just want to live in your world for awhile and have you teach me how to get colors and photos like that. Not blowing you smoke you are a genius. And SHOUT is genius too. I have loved that product ever since it came out. Looks like a good time - looks a lot like my life with three toddlers running around - the messes come if I want them or not, at least you got to enjoy it! This is an amazing articles, hitting 2 birds on 1 bullet. I like the color stuff and making it vanished so easily by Shout! Some of the most fun things we do in life cause us to get dirty and messy. It is great to find a product that helps get rid of all the dirt. That looks like a total blast, especially since it can be cleaned up afterwards! Too fun! As a mom with a little boy who loves to get dirty, it's good to know there's a stain remove that can handle it and get things clean again. Shout is an amazing product! It's definitely my got to for getting stains out. This color bomb looks AWESOME!